Water heaters are the under-appreciated heroes of the household – and also a big energy user. If you have an electric water heater, you could save hundreds of dollars every year by switching to a heat pump water heater. * They’re the most efficient water heaters you can buy. Most qualify for instant discounts from Energy Trust of Oregon, which could make your final cost lower than a standard water heater. And be sure to check for any special offers that could save you even more. Sizing is important to efficient operation. 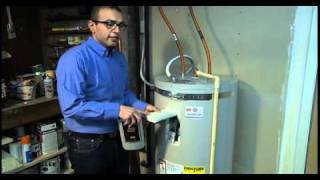 Use this guide to help select the right heat pump water heater for you. *Source: Northwest Energy Efficiency Alliance. Individual circumstances may vary. The Northwest Energy Efficiency Alliance specifies three classes of heat pump water heaters for this region: Tier 1, Tier 2 and Tier 3. Qualifying models in each tier are eligible for instant discounts from Energy Trust of Oregon. Qualifying Tier 1, 2 and 3 heat pump water heater models are eligible for an instant discount of up to $500 from Energy Trust of Oregon. And be sure to check for any limited-time special offers that could save you even more. You’ll save when you set your water heater to 120 degrees. Watch this video to learn how.